As Oakes notes in the introduction, these interviews aim to articulate the reality that being captivated by Christ opens one up to the world: “being captive to Jesus Christ, bound to Scripture, and placed within the church means being made free to receive the world inasmuch as we are placed outside of ourselves, our fantasies and interests, and our communal enclaves” (xviii). 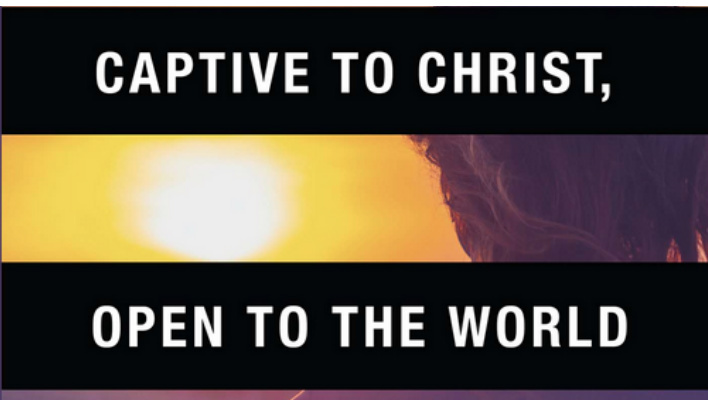 Because of this aim, and because of its unique interview format, Captive to Christ, Open to the World is a rich resource for Christians seeking to think and live faithfully today. I wholeheartedly recommend this book in its entirety. The book’s second chapter, “Technology, Precursors, Resistance,” is most relevant to our purposes here. Early in the chapter, Brock describes what he calls the “fig-leaf reflex” (27). Brock notes that the first thing that happens after the fall is “the production of a material artifact, the fig-leaf loincloth” (27). He then points to Jacques Ellul, who has suggested that modern technology can be understood as repeating this gesture. Brock writes, “Unable to admit the guilt of our fallen condition, modern society can be read as one highly ramified attempt to assuage the feeling that we are missing something by trying to provide for ourselves without reference to God and hiding the disastrous results of our previous efforts” (27). Though contemporary examples abound to illustrate this impulse, while researching and writing my master’s thesis on this subject, I discovered a particularly helpful one: Google’s recent launching of Calico. Described in “The Audacity of Google,” an article in the September 2013 issue of Time magazine, and headed by Arthur Levinson, the former CEO of biotech pioneer Genentech, this new company boldly aims to treat aging—and, thus, death itself—as a disease, rather than a fundamental aspect of human existence. Calico’s impulse here reflects what I’ve come to refer to as the “soteriology of Silicon Valley”—that is, the belief that humanity will be able to save itself via the devices and information of modern technology. Christians living in the Digital Age must name this impulse for what it is: a frantic, desperate attempt to secure control and establish mastery over life itself with the aim of eliminating risk, dependency, vulnerability, trust, and more—all of which are constitutive of human creatureliness and central to foundational Christian practices such as the Sabbath. In practicing the Sabbath, Christians witness to the reality that it is God whom we trust, not ourselves or our technological devices; it is God who is in control, not ourselves or our technological devices; and it is God who saves us, not ourselves or our technological devices. Returning to Brock, he suggests, though, that completely relinquishing control can be naïve. To make this point, he notes that it is important to remember that “God replaced the fig leaf with a technically superior coat of animal skins” (27). Continuing, he writes, “Do we dare suggest God has stopped caring for human needs in this way? We can begin to glimpse where we might start to look for alternatives by noticing that it is possible to manage ourselves to death [or “endless” life, in the case of Calico], to so control everything that freedom, spontaneity, and trust become suspect” (27). This quote reminds me of one of my favorite sections of Brock’s Christian Ethics in a Technological Age. In that section, he claims that Christians must work to “desacralize” modern technology—that is, to dethrone it from its salvific place in our lives. How might Christians “desacralize” modern technology? For Brock, we can do so through “acts of separation, breaking down routines to examine precisely how they tempt us away from reliance on God’s reconciling work” (225). This, then, is the task set before us. 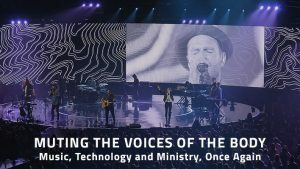 In order to live faithfully in the Digital Age, contemporary Christians must have the courage to explore how we might “desacralize” any and all forms of modern technology—including popular social media platforms as Facebook, Twitter, and Instagram, as well as devices such as smartphones, tablets, and laptop computers. In doing so, we must dare to ask how these and others either enable or distort human creatureliness and, thus, enable or distort our ability as Christians to both live as creatures in God’s good world and to witness to another way of life amidst the devices of our age. Elliott Haught, owner of Logos Writing & Editing, is a graduate of Duke Divinity School (M.T.S., Christian Ethics) and Westmont College (B.A., English Literature). Currently living in Northern California with his wife and daughter, he is working on revising his master’s thesis on living faithfully in the Digital Age for publication as an academic journal article. 1. What does “admitting guilt” have to do with the God-given desire to create and innovate (high tech, low tech, any kind of creative activity – including the creative process of the written word)? I fail to see Ellul’s connection, nor would I necessarily agree that “admitting guilt” is the prime focus of the fall narrative. 2. In the last 100 years, the average Western lifespan has nearly doubled, largely due to advances in medicine, hygiene, and natal care. Are these not good things? If we learn how to extend a healthy life another 50 or 100 years, is this not desirable? I’m puzzled by the assumption that our desire for basic human progress and improvement constitutes “a frantic, desperate attempt to secure control and establish mastery over life.” Moreover, I fail to see the moral or ethical disconnect between “trusting in God” and pursuing creative advancements in medicine and all other suffering-reducing technologies. Alas, I think just the opposite is true: reducing suffering and improving our collective health sounds very much like Jesus. 3. Brock claims that technology distorts human creaturliness. I really have no idea what that means. What bothers me about certain religious writers on technology is this dread sense of black and white argumentation, as if all technology is bad, or has no redeeming moral, social, or spiritual value. I suggest that B&W thinkers need to rethink the role of technology in shaping our collective roles and responsibilities, for -both- better and worse, in the promotion of -both- healing and disease. The world of ethics, morals, and spiritual ideas is not black and white, but a beautiful tapestry of color and wonder and awe, of which creativity and technology can, and do, play essential supporting roles. John L, you’re Lance Armstrong’s doctor aren’t you! Bigger, faster, higher, longer, eh? Jesus would. It’s silly to discuss abstractions, so let’s not. You’ve clearly never read my books, or heard me speak. Which means the Internet has made it possible for you to pronounce me a “black and white thinker” based on one line from a writer I quote that has been picked out of my book by a reviewer. Brian, I don’t understand some of the things you just wrote, so I’ll not address them. However, to call this conversation “absurd” is backwards, and reveals little more than a deep personal bias. Alas, meaningful conversation between strangers is one of the profound benefits of virtual technology. It is, without reservation, changing the world. Before virtuality, it was rare to have an ideologically-based conversation with anyone beyond our own physical barriers: belief tribe, family, friends, academic structure, workplace. Technology has opened profound new doors of global interpersonal communication, ideological cross-pollination, and empathic connection. If you don’t think that’s true, I guess we’ll just agree to disagree. As for a “nuanced position” on religion and technology, I have a good start. I’ve been engaged in this conversation for many years. Almost 10 years ago, I created and edited the first self-organized, crowd-sourced book on the topic, the Wikiklesia Project, with over 500 pages and 40 authors (many whom you may have read), each with their own unique nuanced position and perspective. Kevin Kelly, founder of Wired Magazine, called it “a prayer from the year 2030.” I’m well read on the topic, and indeed opinionated! I also created the religion board at Lifeboat — a think-tank gathering of scientists, technologists, and theologians exploring the impact of religion and technology on human survival and well-being.